For years it seems to be a common problem that the android users used to face with the android skins, is to cripple down when the hardware of the phones used to rough. But, people can now be relaxed and use the smart phones with great flexibility, they being two of the most popular smart phones, Samsung S4 and HTC one comes in with newly packed Google editions. The Google edition smart phones of these two primer series seem to attract the crowd in a huge way. People are going gaga and their quibbles for selection for which smart phone with Google edition will be a worthwhile at the end of the day. Firstly let us look on these two sets of smart phones, on how they have performed against their android skinned smart phone series. The HTC one with the android skin was quite fast in work process, but the latest HTC one Google edition phone seems to be on the upgraded in this division and works quite smoothly without any friction at all. The work on the applications works way faster and quicker than those of HTC one enabled with android skinned. The swiping through the operating browser is also quite conventional and is very easy and quick. If anyone uses the two devices simultaneously then can sum up to draw a comparison that HTC one enabled with Google edition is quite cleaner in layout and design. The presentation of the user interface of desktop application is also very easy to use than in the android skinned device. 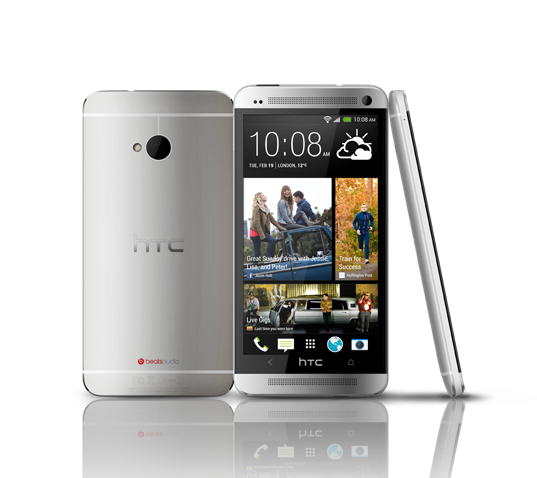 In some portions the HTC one with Google edition and the HTC one with sense are same. The hardware and the design and layout seem to be perfectly bang on target and are completely same in both devices. The audio functions of these two devices also are parallel. The only remarkable drawback that can be seen in the HTC one with Google edition when compared with sense technology HTC one, is the camera functions. The HTC one with Google edition seems to lose some shine in the camera crunch, which seems to one of the strong armor of the sense enabled HTC one. Though the camera application of Google seems to on the right track, but the Google crew have seen the photos clicked from both devices and have a notion of putting in some extra crunch to be more effectual to the HTC one with sense enabled. The initial complain with the Samsung galaxy S4 for all was that , it used to get down on the lower side on the performance in speed and flexibility even though with a hugely equipped processor in its belt. But the Samsung galaxy S4 in Google edition has reduced this issue to a great extent. The applications open must faster and moving through UI is quite smooth and easy in comparison to the one without Google enabled. Special recommendation of this smart phone with Google edition is done in the camera adaptability functions. It seems this smart phone has paved in and swathed the problematic junctions of the smart phone with touch wiz technology. In the latest released Samsung with Google enabled phone can easily use the menu based applications and navigate through the settings much more in ease that that of the touch wiz technology. It can be seen that most of the part of the Samsung galaxy touch wiz has huge clusters of settings, of which mostly are unused and makes the device more bulky for usage. The application can be installed and used quite more easily and quickly. The user interface of this phone is quite smooth and people love to browse through this device. The desktop application presentation and layout is much simpler. This device with Google enabled also gives the provisions for the usage of Google wallet, which is comparatively absent in the HTC one with Google edition also. The camera options of this smart phone had no compromise with the S4 without the Google edition. The 13 mega pixels resolutions works fine and has some great delights. The photosphere application of Google has nicely stitched the graphic point. Though there are some points where the Samsung Galaxy S4 with Google edition has collapsed, they are in the areas of call dialers. The call dialing facility in the S4 was quite smooth one which seems seems to miss in Google edition, and the missing of some quite huge of bucket of short cuts which were a great stuff in the S4. Now, that you have narrowed down your choices to go with the Google edition smart phones, but you are still in a dilemma as to which smart phone with Google enable will be better, so check out this portion for the details to help you out. The HTC one was always known for its hard end built quality. It has an aluminum coating which makes it quite tough and rough for the usage compatibility. Though the plastic coating of S4 is a thing that in all probability will stand as a drawback in design going to its rich style of use. So here the winner would HTC one. The screen of both these smart phones has almost in some qualities the basic good qualities that can make a tie in this division. While the Samsung S4 has 5 inches screen this helps it to be a look of real estate types, while the HTC one with 4.7 inches has the look of clarity and sharpness in it. In the camera portion the functions of HTC one though reduce n sharpness, but still stands tall, though the Galaxy S4‘s camera captures full review is still not yet out. Though we are confirmed it has a much sharper look but wit type the rest will be revealed before us. Thus in this division as Galaxy S4 report is still not yet in hand so we have to wait for the coverage. Thus, with all these we can say, that no one can be declared as an ultimate winner, as both have their god and bad points, so you can cash your Google edition phone with anyone.